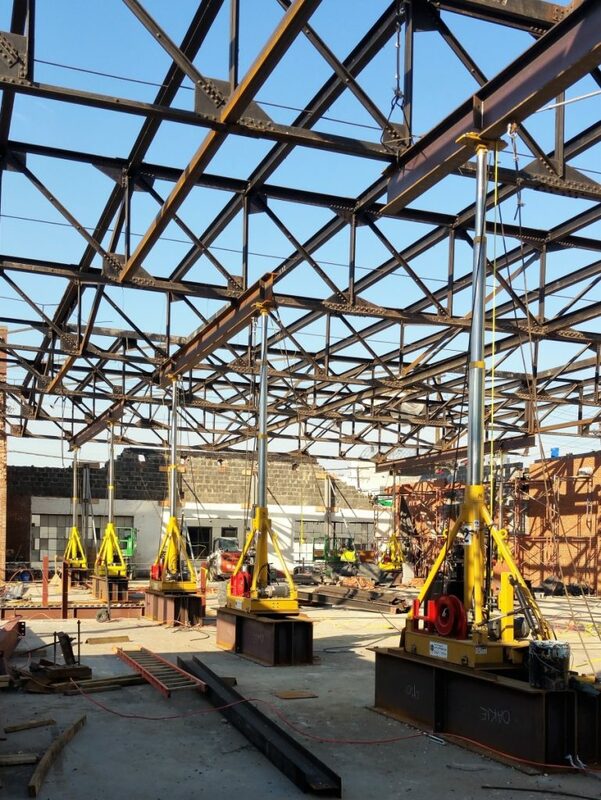 jacking | Williams Industries, Inc.
Williams Steel Erection Co., Inc. is jacking the existing roof structure of 1401 Okie Street in order to preserve the existing truss system as a historical architecturally exposed element. 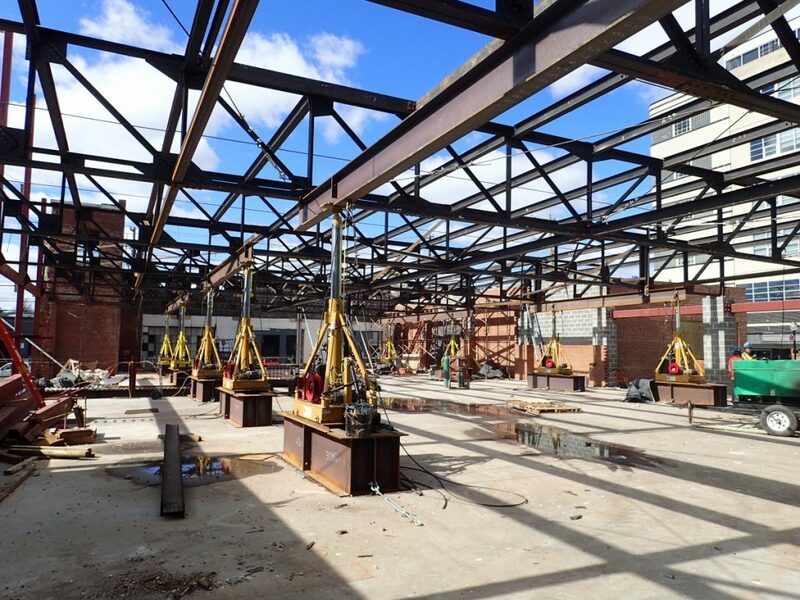 A fully engineered plan was developed specifically for this operation. 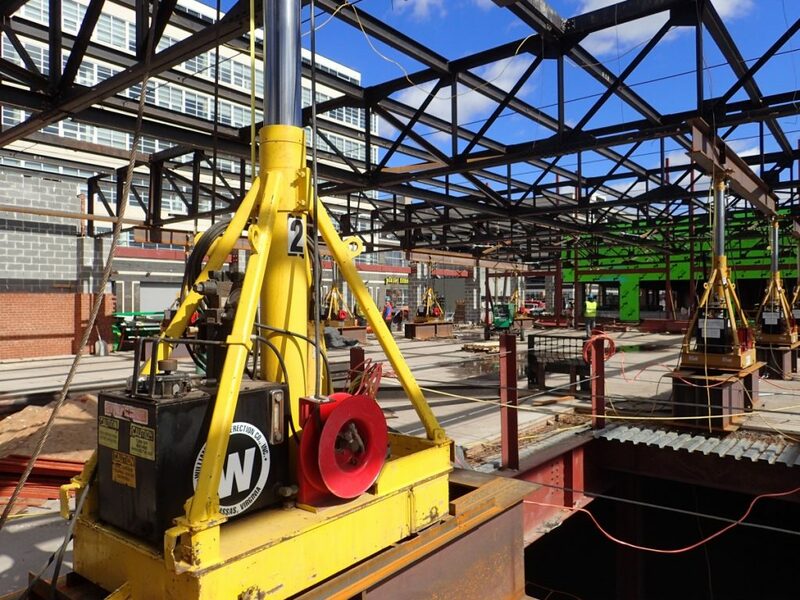 The 150 ft by 75 ft section being jacked was reinforced to accommodate the loading imposed during the operation. 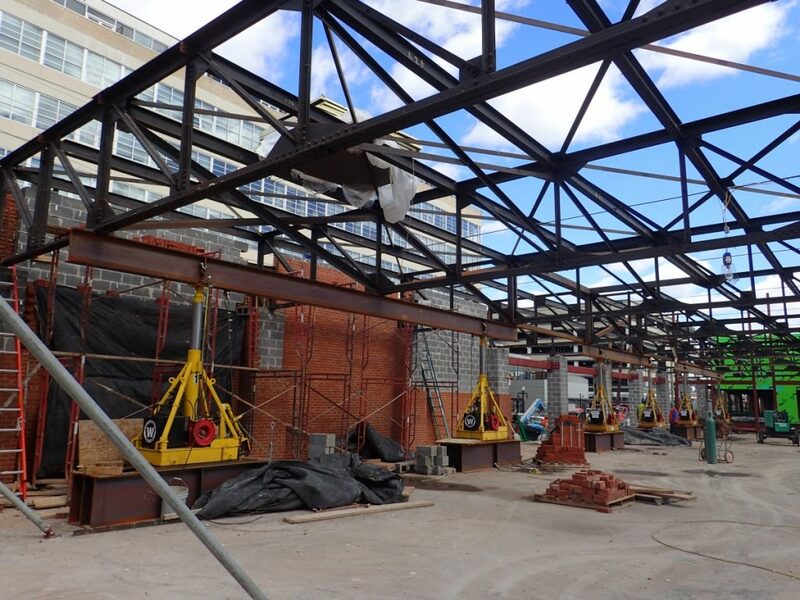 Custom made support frames were designed and fabricated to transfer the load of the jacks and roof to the ground through the existing building structure. Below are pictures from the setup prior to jacking and after.